This articles lists the different types of HTC phones. 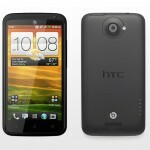 HTC produce some of the best smart phones available on the market, with a fantastic range of Android and Windows phones. They have built a great reputation for excellence in every product. Here we present some of the best types of HTC phones and their most notable features. 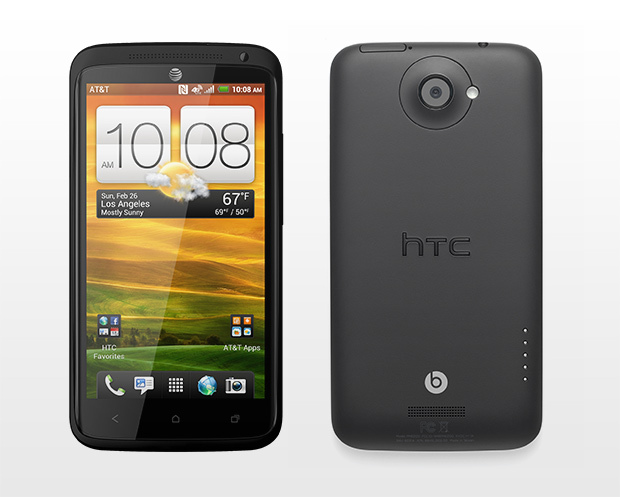 The HTC One X + is the improved and updated version of the highly popular HTC One X. The phone’s performance is reported by HTC to be 67% faster – with an updated NVIDIA® Tegra® 3 1.7GHz Quad-core processor. From our tests we can confirm that it is razor fast to use. Browsing, apps and general use is all incredibly quick. Taking photos with HTC One X + is fantastic experience. The phone takes photos incredibly quickly, and the quality is excellent. The HTC One X + battery is improved, lasting up to 50% longer. One of the best features of the One X and One X + is the screen, a high quality 4.7 inch LCD 2 touch screen with curved Gorilla Glass. For the audiophiles, the phone comes with Beats Audio built it. The phone comes with 1GB of RAM, and a very decent 64GB of built-in internal memory. The Windows Phone 8X (code name: Accord) was first announced by HTC September 2012, as their signature Windows 8 phone, along with the accompanying Windows Phone 8S. Business users and those dying for the Windows 8 experience via a phone may be happy, though some critics have been a more than a little luke-warm on the phone – stating it is not quite up to the standard of the latest HTC Android offerings such as the One X +. The phone doesn’t come with a huge amount of storage – just 16GB – and there is no external memory slot. Efficient use of cloud storage would mean this may not be a major problem, though anyone downloading more than a handful of HD movies could quickly come unstuck. The screen is quite large at 4.3 inches. The phone has a Qualcomm® S4 1.5 GHz Dual-core processor. 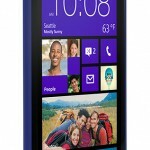 The HTC Windows Phone 8S is lighter than the 8X, though has a slower Qualcomm® S4 1 GHz Dual-core processor, and less memory – with just 4GB of internal storage. The phone does however allow for external memory with a micro-SD card slot. The phone has a built in camera button for taking images, accessible from the lock-screen. 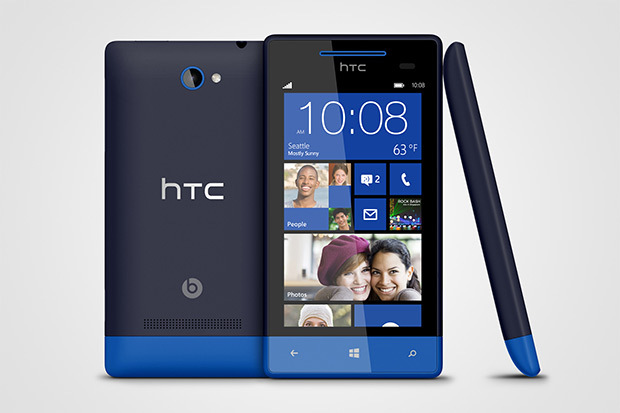 The HTC Windows Phone 8S comes with built in Beats Audio. The HTC One X is an excellent phone, which has only recently been superseeded by HTC One X +. The phone features a large 4.7 inch screen and a fast 1.5 GHz, quad-core processor. The HTC One X comes with a sizeable 32GB of internal memory. If you are thinking of getting a ONE X, you may want to check how much extra it is for a One X +. If it is only an extra £30 or so – as is often the case – you get essentially double the memory and greatly increased speed, which is worth the extra. The HTC Desire X is a resurrection of the previous HTC Desire. The phone features a 1GHz Dual core processor, 4GB of internal memory and 4 inch screen. The HTC sensation comes with a dual-core 1.2 ghz processor, 8 mega-pixel camera and HD video recording. It has a large and bright 4.3 inch screen, the same size as the Desire HD. 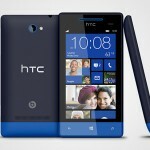 Running a windows operating system the HTC Arrive is one of the most advanced HTC phones currently on the market. The Arrive has a touch screen with a 3.5 inch screen as well as a flip down keyboard. The Thunderbolt runs the Linux based Android operating system and boasts a 1Ghz processor, 8MB camera and 768MB of RAM. One of the best HTC phones available on the most popular platform with access to over half a million apps. The Thunderbolt has an excellent camera and an easy to use interface making it one of the most popular types of HTC phones. Another hugely popular Android phone the Wildfire S has been fully integrated with Web 2.0 features like Twitter and Facebook. It has the additional optional downloads of Voice search and Photo search and stunningly rendered Google Maps. Also offers Skype making it good value for money. Possibly the sleekest of the Android phones the Evo shift 4G runs on the WiMax network providing fixed and mobile internet access. It has an 800MHz processor which makes it one of the best HTC phones for running apps. The sleek design doesn’t inhibit the usability of this which makes it ideal for gaming. This phone runs the Windows Phone system which replaced the Windows Mobile system. It has a 4.3 inch SLCD screen which makes it one other best phones for video and other media. Plus, because it runs a windows operating system you can easy transfer files, programs and games from your home computer. The Touch Pro 2 is the best all-around HTC phone. It runs the Android operating system and has a large 3.6 inch touch screen interface as well as a slide down keyboard. Whilst it doesn’t excel at anything it has a good solid camera and it has 528MHz processor and 288Mb of RAM. There are two versions of the Touch Pro 2 the T737X and the T738X. The 38X has a slightly different but is otherwise the same. This is THE smartphone for anyone who shuns modern phone developments. It keeps the whole user interface simple without being overly simplistic. The design is more like a 90’s phone but boasts all the features of a typical smart phone making it another good all-rounder. This phone has one of the best screens with sharp contrast and crystal clear high definition. Perfect for users who like to do lots of things at once the interface lets you switch quickly between apps and other features. The sound quality is also superb making it great for music. The Incredible S lives up to its name providing a HD camcorder and 8 mega pixel camera. It boasts a 4 inch SLCD screen, integrated maps and a library of classic books; which the screen makes easy and enjoyable to read. These are just some of the types of HTC phones available at the moment. HTC have carefully developed phones for every kind of user so you can be sure of finding something to suit you if the models covered here don’t tickle your fancy.